We think you should be able to make the most of your precious time off with enough choice to create a holiday that suits you down to the ground. Don’t fancy washing up? Why not try one of our on-site restaurants, serving locally-sourced, fabulous quality Devonshire food. Indulge in a freshly baked Devonshire cream tea with lashings of jam and clotted cream. Sundays are all about Cofton's ultimate carvery experience locally reared roast beef and Yorkshire puddings, brimming with gravy and all the trimmings, finished off with a pint of West Country cider, a pint of pure gold! Yee-haw! The 2019 Country and Western Week is back with a vengeance! Get on up and join us for our legendary Soul & Motown Weekend this June! It's easy to reach Cofton by car. Leave the M5 motorway at junction 30. 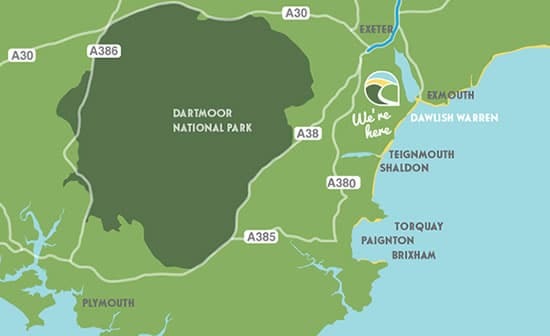 Take the A379 sign-posted Dawlish and after about 30 minutes, having passed through Kenton, Starcross and the small harbour village of Cockwood, the Park is half a mile on the left. The nearest bus stop is on Exeter Road and is approximately 100 yards from Reception. The stop is serviced by the Number 2 Stagecoach service running from Exeter to Newton Abbot. The nearest train stations are Starcross, Dawlish Warren and Dawlish. From there you will be able to catch a bus which passes our entrance. For further advice on public transport please contact our reception team who will be happy to advise you on your best option.
" The flag proudly flying at Cofton. Happy St George's day from the team at Cofton #stgeorgesday #stgeorges https://t.co/zpRBaHEHlf	"
" The #Easterweekend may be over and it's time to get #backtowork , but what better time to plan your next Devon Holi… https://t.co/HWGTGmYn0z	"